EU-Cuba Cooperation Agreement to enter into effect. The High Representative for Foreign Policy and Common Security of the European Union (EU), Federica Mogherini, today confirmed the entry in force of the cooperation agreement recently signed between the EU bloc and Cuba on Wednesday. 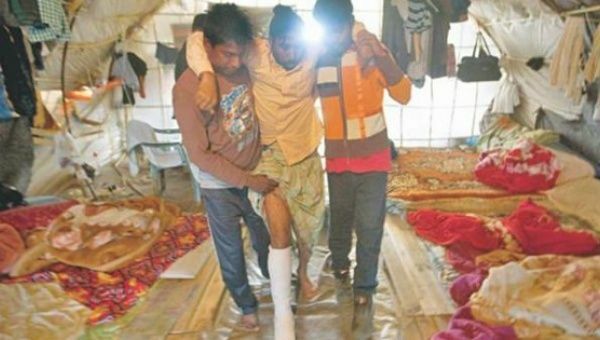 Bangladesh Migrants Shot at by Landowners Win Human Rights Case. The group of migrant workers were shot at in 2013 and threatened with deportation after they demanded payment from Greek landowners. A group of migrant fruit pickers from Bangladesh have won a human rights case against Greece for being shot at by their employers after demanding wages for unpaid labor. The European court of Human Rights ordered Greece to pay the group of 42 migrants workers damages of US$17,000 each for failing to prevent the human rights abuses from 2013.